The Houston Dash and Utah Royals FC played to a 0-0 draw at BBVA Compass Stadium on Friday night in front of a crowd of 3,433 fans in Houston. Following the result, both teams are 0-0-2 to start the season. 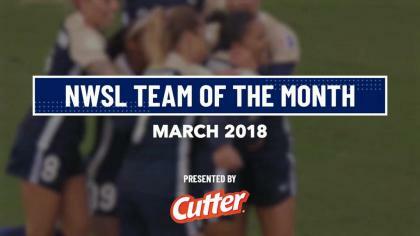 Utah Royals FC are still in search of their first NWSL win. Utah’s best chance in the first half came on a free kick by Gunnhildur Jónsdóttir in the 28th minute. A foul by Dash defender Amber Brooks on Utah midfielder Brittany Ratcliffe gave them a free kick right at the top of the penalty arc. Jónsdóttir put her shot on frame and Dash goalkeeper Jane Campbell needed a strong punch over the bar to clear it away. Jónsdóttir scored the first goal in Utah Royals FC history last week, and had several chances to get the second goal in franchise history on Friday night. In the 71st minute she was denied once again by Campbell, this time with a kick save after she had slipped in behind the Dash defense for a dangerous chance. The rebound went to Utah midfielder Erika Tymrak, but her right-footed shot went wide. Campbell also made a big save in the 66th minute to punch a floating shot by Brooke Elby over the crossbar. Campbell made five saves to earn her first shutout of the season. The Dash did not record a shot on goal, but were kept in the match by the strong play of Campbell and their defensive line. After a relatively quiet first hour, the game opened up in the final 30 minutes as both teams made substitutions and the fresh legs were able to find space. Tymrak, who entered in the 67th minute, had one of Utah’s best chances and Houston’s Lindsay Agnew had several dangerous crosses for the Dash after subbing in at the 76th minute. The best chances for the Dash came courtesy of 19-year-old midfielder Linda Motlhalo. Near the end of the first half, she took a nice touch around her defender for a breakaway down the right sideline. Her cross into the box fell to a sliding Kimberly Keever, but the shot went high. Then in the 88th minute, Motlhalo showed her dribbling skills in the box before passing to Nichelle Prince. Prince’s initial shot was blocked by Becky Sauerbrunn, and Prince then hit the rebound wide. Utah dominated possession 66%-34%, according to Opta, and outshot the Dash 9-7 (6-0 in shots on goal). Both teams will now head into the FIFA break. Utah Royals FC will next play on April 14 vs. the Red Stars in their inaugural home game at Rio Tinto Stadium. The next game for the Dash will be on April 18 on the road vs. the Red Stars. Match ends, Houston Dash 0, Utah Royals 0. Second Half ends, Houston Dash 0, Utah Royals 0. Attempt missed. Nichelle Prince (Houston Dash) left footed shot from outside the box misses to the left. Attempt blocked. Nichelle Prince (Houston Dash) right footed shot from the centre of the box is blocked. Assisted by Linda Motlhalo. Attempt missed. Amber Brooks (Houston Dash) header from the centre of the box misses to the right. Assisted by Kimberly Keever with a cross following a corner. Attempt missed. Katie Stengel (Utah Royals) header from the centre of the box is close, but misses to the left. Assisted by Sidney Miramontez following a set piece situation. Substitution, Houston Dash. Lindsay Agnew replaces Janine van Wyk. Attempt saved. Katie Stengel (Utah Royals) left footed shot from outside the box is saved in the bottom right corner. Assisted by Lo'eau LaBonta. Attempt missed. Erika Tymrak (Utah Royals) right footed shot from the left side of the box is close, but misses to the left. Attempt saved. Gunnhildur Yrsa Jonsdottir (Utah Royals) right footed shot from the centre of the box is saved in the bottom left corner. Assisted by Diana Matheson with a through ball. Corner, Utah Royals. Conceded by Kristie Mewis. Attempt blocked. Gunnhildur Yrsa Jonsdottir (Utah Royals) left footed shot from the centre of the box is blocked. Assisted by Diana Matheson. Substitution, Utah Royals. Erika Tymrak replaces Brittany Ratcliffe. Corner, Utah Royals. Conceded by Jane Campbell. Attempt saved. Brooke Elby (Utah Royals) right footed shot from outside the box is saved in the top left corner. Assisted by Lo'eau LaBonta. Substitution, Houston Dash. Nichelle Prince replaces Veronica Latsko. Substitution, Utah Royals. Lo'eau LaBonta replaces Katie Bowen. Attempt saved. Diana Matheson (Utah Royals) right footed shot from the right side of the box is saved in the centre of the goal. Assisted by Gunnhildur Yrsa Jonsdottir. Meleana Shim (Houston Dash) wins a free kick in the defensive half. Attempt missed. Savannah Jordan (Houston Dash) header from the right side of the six yard box misses to the left. Assisted by Kristie Mewis with a cross. Offside, Houston Dash. 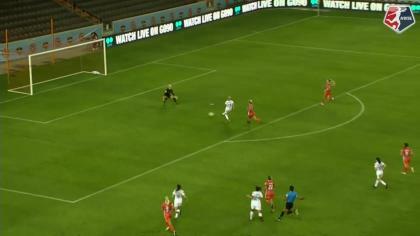 Kristie Mewis tries a through ball, but Veronica Latsko is caught offside. Attempt missed. Haley Hanson (Houston Dash) left footed shot from outside the box is too high. Assisted by Meleana Shim. Second Half begins Houston Dash 0, Utah Royals 0. First Half ends, Houston Dash 0, Utah Royals 0. Attempt missed. Kimberly Keever (Houston Dash) left footed shot from the centre of the box is high and wide to the right. Assisted by Linda Motlhalo with a cross. Substitution, Utah Royals. Brooke Elby replaces Rebecca Moros because of an injury. Offside, Utah Royals. Desiree Scott tries a through ball, but Katie Stengel is caught offside. Attempt blocked. Gunnhildur Yrsa Jonsdottir (Utah Royals) with an attempt from very close range is blocked. Assisted by Brittany Ratcliffe. Attempt saved. Gunnhildur Yrsa Jonsdottir (Utah Royals) right footed shot from outside the box is saved in the top left corner. Brittany Ratcliffe (Utah Royals) wins a free kick in the attacking half. Veronica Latsko (Houston Dash) wins a free kick in the defensive half.